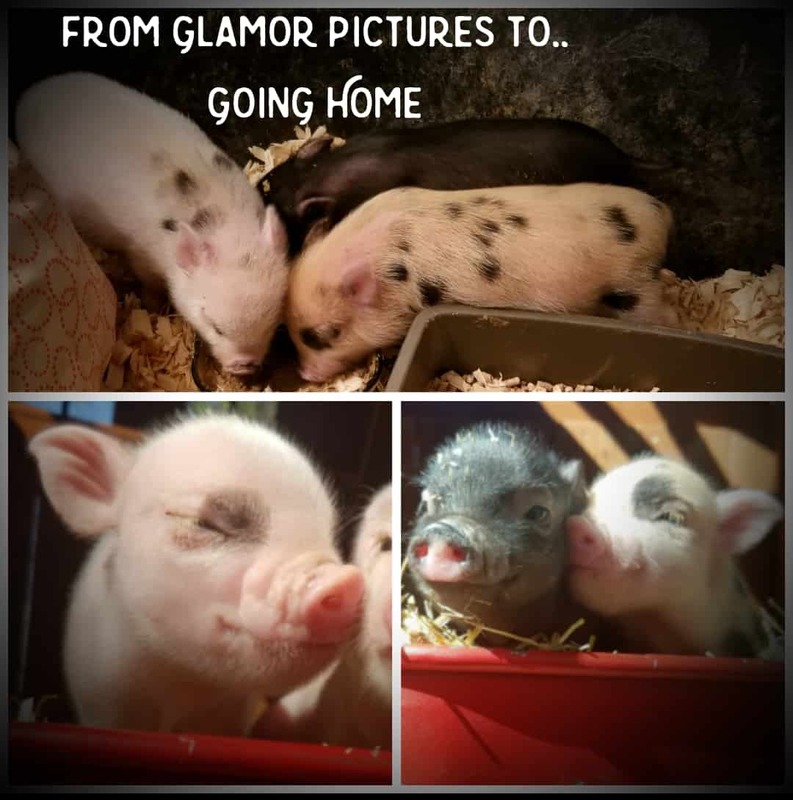 Our piglets go home litter box trained, a common question is what type of litter do our piglets use? 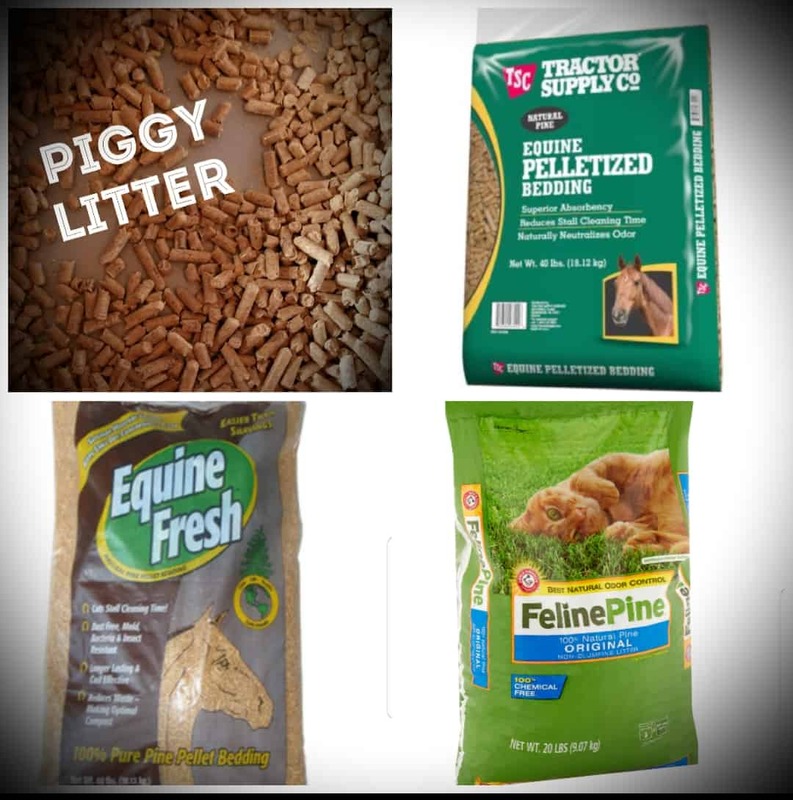 *Equine Pine Pellets, or, Feline Pine is the safest litter to use for mini piglets. Other types of litter are made to clump when wet, causing a blockage internally with your animal if eaten. What does piggy poop look like? Does it smell bad? 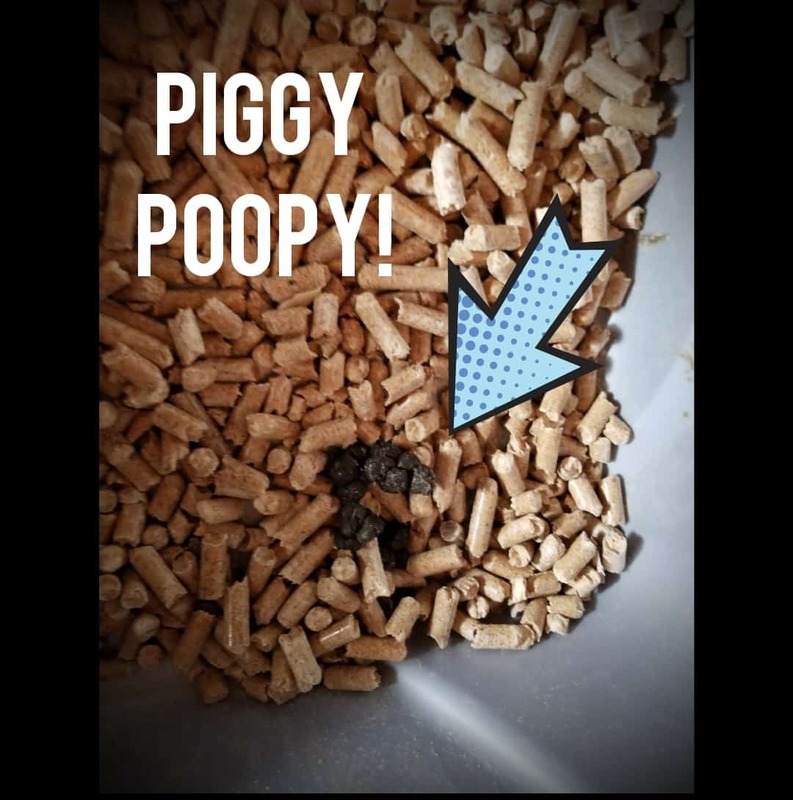 Piggy poop looks just like small pellets clumped together. Our mini pigs are fed healthy, so a foul smelling poo is not something you willfind in a mini pig that is fed a well balanced, healthy diet. What types of kennels work best when I bring my piggy home? *A kennel that you can bend down and pick up your new piglet out of works best. 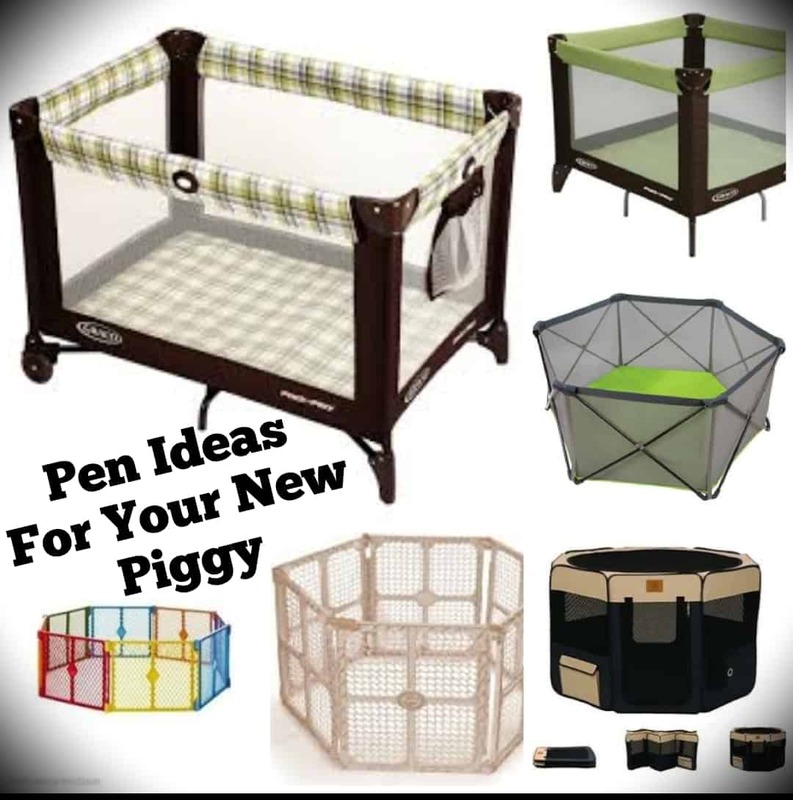 Always make sure it is piggy proof before putting your baby in there for the first time. Will my new piglet play with toys? 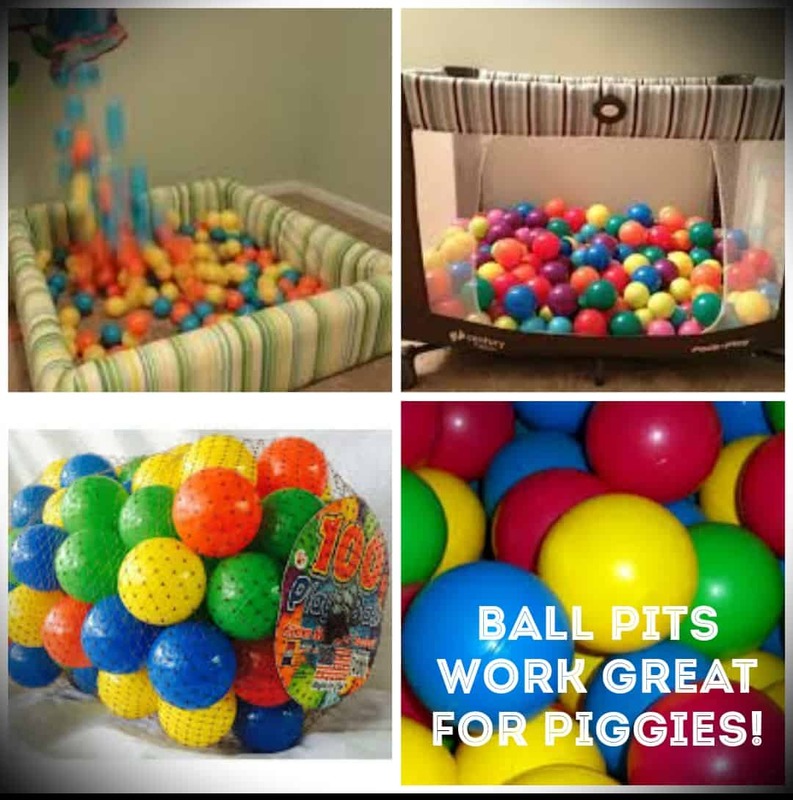 *Piglets love rooting balls and anything they can push around and explore with their nose. 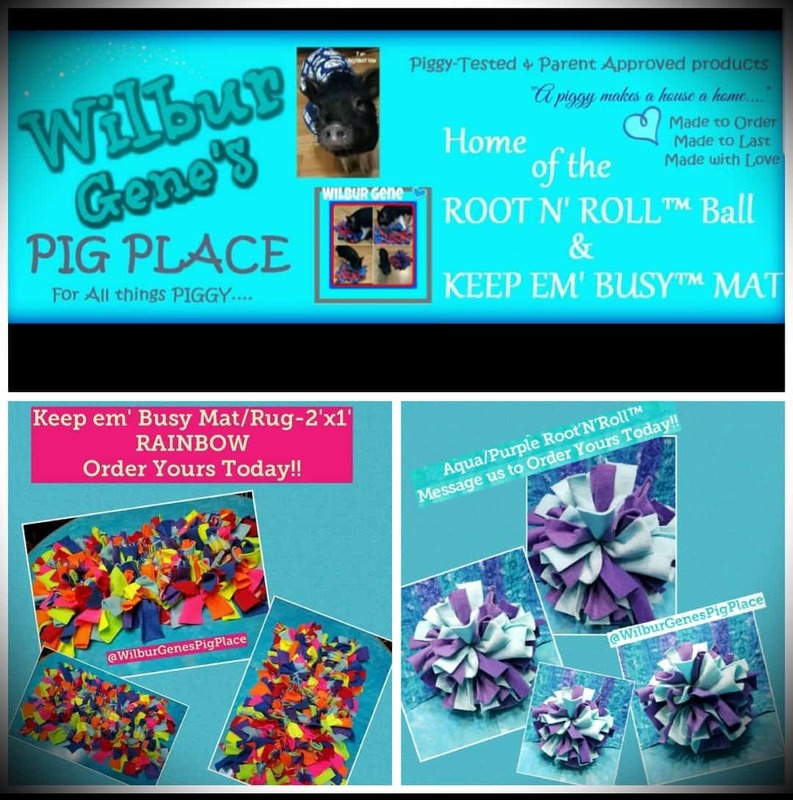 Rooting mats are a favorite among piggy parents, too. Make sure nothing they play with can be too small to ingest. 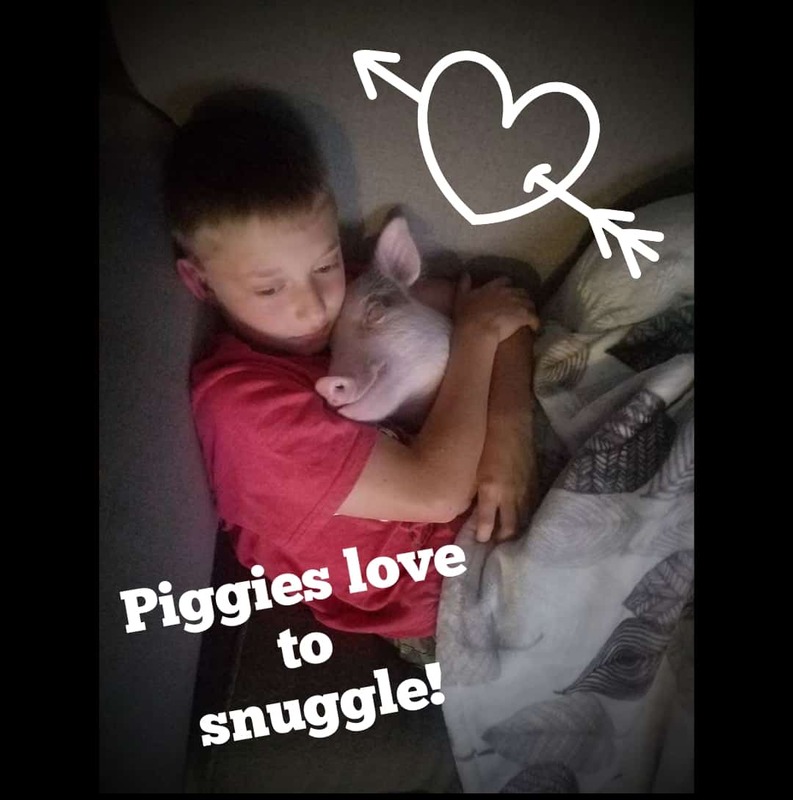 Do pigs like to cuddle? *Like any animal, the more love and affection you give it, the more love and affection it will give back. Piggies are no acception. In fact, pigs have four less emotions than humans..making them more capable than most animals in the world to be a furry companion emotionally. That being said, pigs bond STRONGLY to their families. 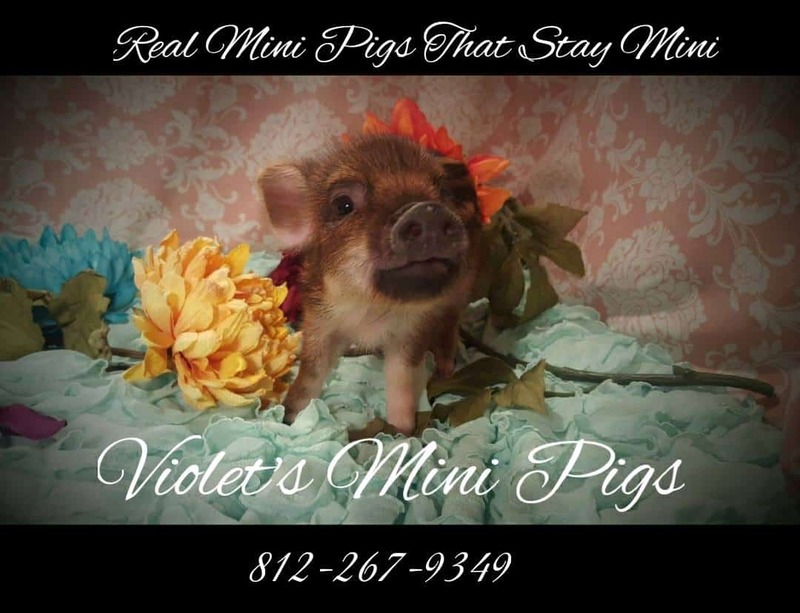 Please be sure when you adopt a pig from any breeder that it is a lifelong long commitment. Rehoming a pig is extremely difficult on them emotionally. What do they look like when they go home? *We keep you posted with pictures throughout the entire process of adopting your baby. We ask that you message us and ask us for pictures, we get busy and want to make sure you are staying updated as much as you like. Sometimes the spotted babies can look a little pink when they first get their picture taken, or spots will appear smaller in photos than when they will go home. Sometimes your baby has a bit to grow and mature before you take him/her home, and they are often even prettier when they go home than when we first took their glamour photos! How do I hold a mini pig?